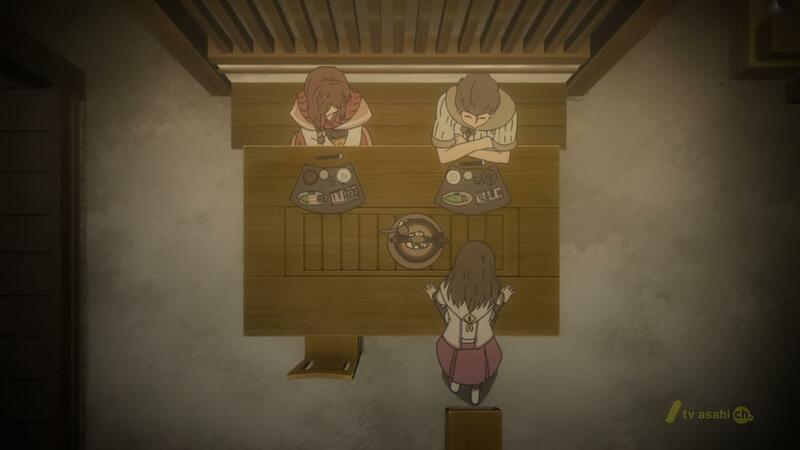 Inspired by all the rewatch threads on reddit last month, I decided to watch Shinsekai yori (SSY) for the first time. When the show came out in late 2012/early 2013, I didn’t have the time or motivation to watch anime. All the hype and buzz passed me by, and I knew nothing about SSY until I started on the first episode two weeks ago. I could say a lot of things about this show, and I’ve already tried to do so. I typed this post several times, but each time I would write something down, I would immediately feel wrong about it. The core problem is that SSY is deceptively simple. Or maybe deceptively complex. It’s hard to tell whether SSY has a thousand layers of meaning or just one, and that’s both its brilliance and its downfall. 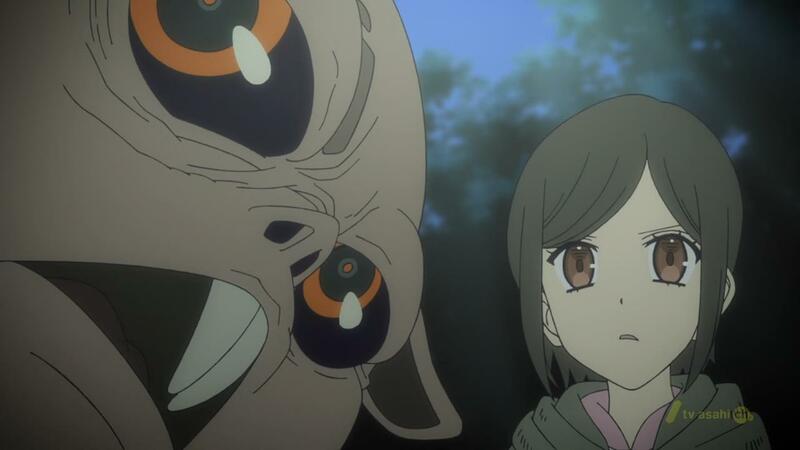 Shinsekai yori has the camera angles, music, and setting befitting an Alfred Hitchcock horror film. The soundtrack is crafted to just the right mixture of grandeur and creepiness. Every time I hear one particular tune come on, I immediately feel that something just isn’t right. When I hear a different tune, I breathe a sigh of relief knowing that the danger has passed. When I see the camera aimed so close to Squealer’s face, I can’t help but feel disgusted at his ugliness. 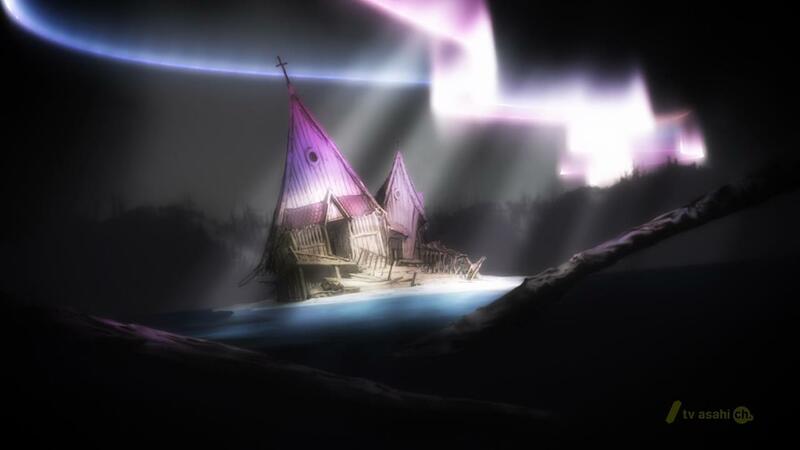 When I see Shun’s otherworldly shack with an intense aurora floating above it, I can’t tell the difference between imagination and reality (a la Cantus). Excluding the actual plot, everything in SSY is meticulously crafted to give the audience a sense of impending doom, or a feeling that something is off or just wrong. It’s so impressive. At the same time, the actual story is filled with nothing but the most obvious choices. When Squealer leads Saki and Satoru to the wild queerat colony, all I could think of was how Squealer was definitely betraying the humans. Taking a roundabout path to the battlefield? Squealer saying he sent sentries forward to check the route? Squealer saying the path was clear but actually filled with ambushes? Doesn’t that all seem like Squealer is actually the bad guy and is setting all of this up? Oh, and factor in the ominous music and close-up shots of Squealer’s ugly mug, and I was saying all this to myself with 100% certainty. But it turns out Squealer wasn’t bad (at the time). He was reporting to good guy Kiroumaru all along. 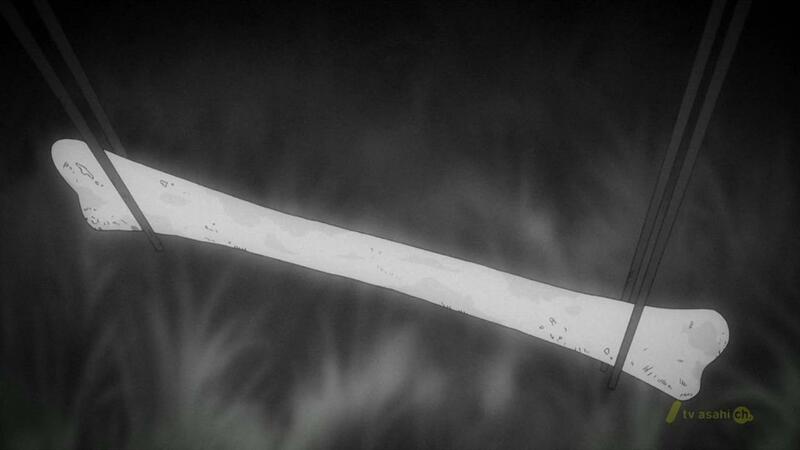 Speaking of Kiroumaru – when he is first introduced, Kiroumaru is portrayed as a dangerous foe. Satoru and Saki try to run away from him, thinking he would turn them in for being outside the Holy Barrier. But nope – Kiroumaru was just a good guy. The whole show is like this. Background music, settings, and camerawork all make the world of SSY feel a lot more dangerous than it truly is. Sometimes I felt like something was going to pop out of the bushes, but nothing ever did. Sometimes I felt like a character was evil, but he wasn’t. It’s like the animators/mangaka focused solely on putting the audience into the world alongside Saki. When she feels scared, the audience does too. When she feels relieved, the audience does too. Her emotions are fueled by what she thinks, not what actually happens. What’s really interesting, though, is the relationship to Cantus. All throughout the show, human subconscious and conscious thinking causes the world to evolve and mutate. Specifically, the show says that humans fearing the world outside the Holy Barrier causes everything out there to become scarier and scarier. At some point, it just feels wrong for humans to even fear the unknown, lest their Cantus make it even worse. So when some BGM came on to signal Saki’s fear, not only did I feel scared with her, but I also felt guilty for even feeling fear. I can’t think of a single anime that’s been as immersive as SSY. The show tricked my brain into thinking like a scared 12 year old Saki, then a desperate 14 year old Saki, then a responsible 26 year old Saki, and then making me feel stupid when what I thought to be correct turned out to be completely wrong. It’s so impressive. The Fiend is the child of Maria and Mamoru. The queerats planned to breed Fiends to destroy human society. By the time these truths came out, I had been tricked and fooled so many times that I just accepted them. Further, the music and setting and all that kept emphasizing that same feeling of dread. I kept on waiting for something more shocking – something that was so crazy that it could justify all this uneasiness I felt. But that never came. These big surprises came out matter-of-factly and the story progressed like it always did – simply, and on the gentlest, most obvious path. So while SSY impressed me by manipulating my head, it let me down by raising my hopes too high.